This is a quirky tale of a girl born in poverty in Soweto, South Africa in 1961. In the book we follow her life from being a latrine cleaner, to a maid for a loony engineer and then her escape to Sweden with a nuclear bomb. Eventually the series of random and unlikely events leads to her meeting the king. Although I found this story fairly entertaining I found that the characters lacked depth and the heroine Nambeko was hat to connect with because it was unrealistic how talented and wise she was. She was to good to be true, some flaws may have made her more enjoyable or interesting to read about. I had similar feelings to the other characters, they were flat and needed more personality for me to really enjoy reading about them. Overall the book was fairly enjoyable to read, however I do not imagine me wanting to go back and re-read it as I do with a lot of my books. 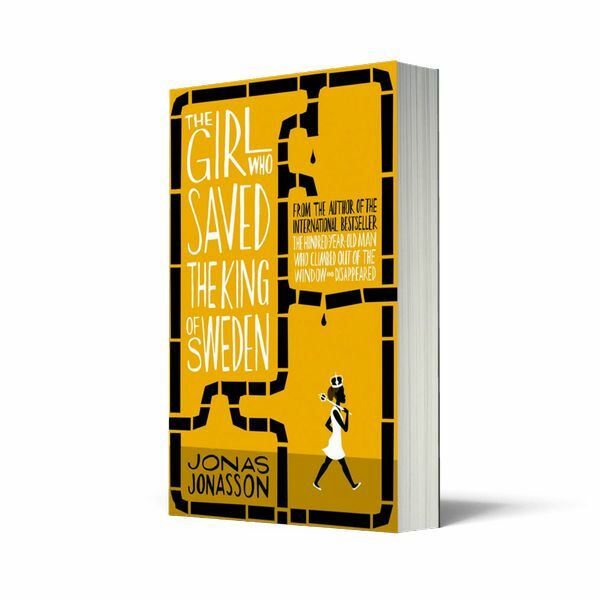 The Girl Who Saved the King of Sweden by Jonas Jonasson was provided to me free through a goodreads give away in exchange for a fair and honest review. Reading progress update: I've read 343 out of 343 pages. What's Left of Me is set in a world where children are born with two souls. As the child grows up one soul becomes dominant and the other recessive. Eventually in the childs life the recessive soul will fade away leaving only the dominant soul. However some children don't settle, and what happens then? At 15 Addie and Eva are faced with that problem.In a world where being a Hybrid is considered dangerous and a threat, Addie and Eva have to keep the fact that they have not yet settled a secret. But, as obstacles get in their way, can they? What's Left of Me was great and i did love it, but i just can't bring myself to give it five stars. I would love to rate it so high because the pace was crisp; the plot is brilliant and original beyond belief, and the concept that the story is told from the recessive soul, Eva, was a great twist on the common narrator. Everything was refreshing, fun, and there was never a dull or boring moment when reading What’s Left of Me, but it just missed… something. In What’s Left of Me, we're told straight away that hybrids are unstable and dangerous, and if you have suspicions that someone might be a hybrid, report them immediately. However during the book we arent told why hybrids are so dangerous, and all the hybrids we are introduced to seem harmless enough. So whenever they are spoken about like that all i could think was “Why?” It could be possible that they aren't any more dangerous than a normal person and they are just thought of this way because they are an anomaly in their normal society, and that's why there never was an explanation? Again, I'm not too sure, but I hope everything is cleared up in book two. As well as that little world-building flaw, there was a flaw in the writing for me that, while little at first, grew to be an annoyance the more I read the book. Now onto less ranty things about What’s Left of Me’s rare flaws, and much more praising on everything else that’s in What’s Left of Me, because everything else was amazing. she couldn't even move her fingers, she was still stronger than half of the heroines in YA literature, and that’s saying something. 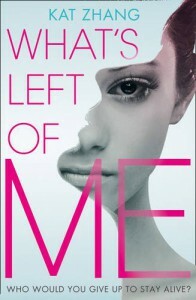 Another thing to absolutely love about What’s Left of Me is that all of the characters are flawed and believable, as are all of their relationships, especially the sisterly relationship between Eva and Addie, which was portrayed expertly. And, while there is some romance in What’s Left of Me, it takes up a very minor part in the actual story, and you might even forget there was a romance to begin with (like me). Overall, despite minor issues i had while reading i loved the book and will happily recommend it to all my friends and also to anyone looking for an original and refreshing new YA novel. 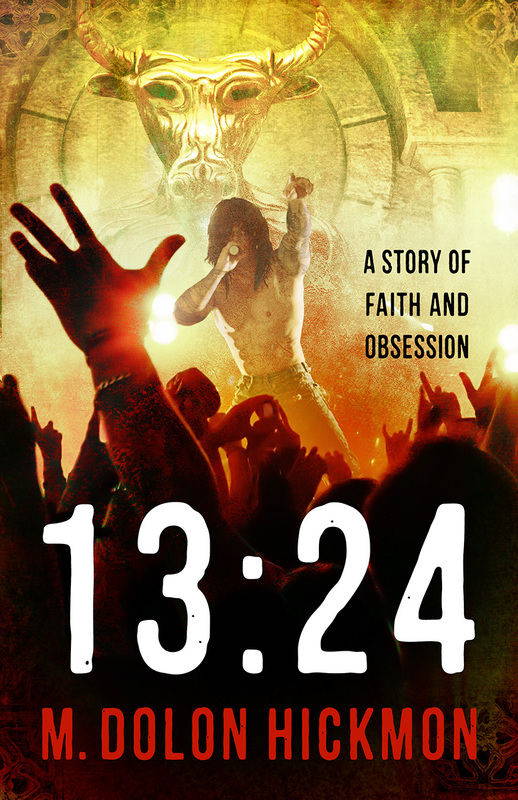 13:24 A Story of Faith and Obsession by M.Dolon Hickmon was provided to me free through Librarything in exchange for a fair and honest review. This book is definitely not for everyone especially the faint of heart as this is a very strong and emotional book. It is about a couple of children who experience physical abuse at the hands of their fathers or parental figures. It starts out with a murder and naturally you assume that you would feel connected and sympathetic towards the victim. However this is not the case you soon realize that the real victim is the 15 year old murderer. What I found so scary and disturbing about this book is that the events in it could easily be taking place in the "real" world. It makes you really think about religious freedoms and whether they should be allowed or whether they should be policed. It is an extremely complicated topic and one that has many compelling arguments. in my personal opinion I think the author has done a terrific job in showing his views on the topics and showing how dangerous it can be to put religious rights above the rights of an individual and especially above the rights of a child. As the book goes on Chris continues his killing spree which to me looked a lot like justice. We soon meet Josh a preacher’s son who was brought up to obey instantly. In fact, his father travelled around to various churches teaching other parents how to beat their children into submission and saying that it was God's will. This is obviously a sick and twisted take on a biblical quote, but poor Josh was beaten for even the smallest disobedience. In the book Josh is now an adult and the lead singer of a heavy metal band called Rehoboam. His music is basically a cry for help and the pain in the songs comes from the abuse he received as a child at the hands of his father. Chris was abused by his mother's boyfriend, who insidiously wormed his way into Chris's life with the express purpose of getting Chris to want him as a father. Once he achieved that goal, the abuse began and each episode was videotaped and sold to other sick minded, twisted, perverted people. Chris's murder victims are all part of the child abuse ring that his hoped for Step Dad was a part of. The book takes many twists and turns and skips between past and present as well as between the lives of Chris and Josh. What could easily be jumbled and confusing was instead a seamless and steady march toward the climax of the story. The author has achieved what eludes so many other authors. He has written a compelling and gripping crime drama that also makes the reader think. This is such a rare commodity these days that I feel I have to give this book 5 out of 5 stars. This is a great read and it will stay with me forever.I am very grateful that i got sent this book and was given the chance to review it i have been recommending it to all of my friends and i deinitely be watching for more books by M.Dolon Hickmon.